Social media often has Throwback Thursdays, where people post photos of their younger selves on Facebook or Twitter. Today, I’m having a Flashback Friday, where I look at one of the books that inspired me the most when I was starting out as a children’s writer. 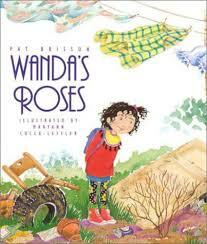 Therefore, I am proud to present: Wanda’s Roses, written by Pat Brisson and illustrated by Maryann Cocca-Leffler. This gem was written in 1994, so it’s older than my oldest daughter. I can’t remember where I first saw it — probably at the library — but I liked it so much, I went and bought my own copy, which I still have today. The book is also still in print, a wonderful accomplishment in today’s competitive picture book market. Here’s what gives it staying power. A likeable heroine. Who wouldn’t like Wanda? She’s cheery, enthusiastic, hardworking and, as we learn on the book’s first page, a lover of beautiful things. In this story, she turns her affections toward a rosebush she finds in a vacant neighborhood lot. Hope amid despair. Wanda’s belief never wavers. Even when extra sun and air and water and love don’t elicit any changes in the bush, Wanda is convinced it will bloom, and she works day after day to make it so. Wanda’s neighbors aren’t so sure. They help Wanda with her quest, but doubt the thorny bush will ever flower. A sense of community. The neighbors are a big part of this story. While they doubt Wanda’s bush will bloom, they believe in Wanda and don’t want her to be disappointed. So they help however they can and keep their concerns to themselves, until Wanda invites them to a tea party in her rose garden. Then, they take matters into their own hands. Diversity. This books has diversity in a very effective, understated way. Wanda lives in a city and the folks around represent the make-up of a city. Young and old. Black and white. Blue collar and white collar. All united in wanting Wanda’s dream to come true. Why? Because they like her, and that’s what neighbors do. I’ve mentioned heart in previous posts, and this book has that too. Wanda loves something most people would look right by. 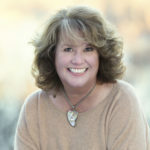 She believes good things will happen, and she inspires others to do the same. So when the book comes to its satisfying conclusion, there’s a strong sense that all’s right with the world. Which is a very good way to feel. 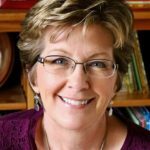 Maryann Cocca-Leffler, Pat Brisson, Pat Zietlow Miller, picture books, roses. Bookmark. Sounds delightful. I hope I can read it someday! Putting it on my list. Thanks, Pat! Me, too! Still in print after all these years….awesome. Sounds delightful! Thanks for the recommendation. Sounds like a treasure. Thanks for the recommendation. Still in print! Love that. And it’s available at my library. Love that too. Thanks, Pat! sweet — hadn’t heard of this. thanks for the rec and for your thoughts on it. Thank you for reminding me of how special this book is! I will read it again . . . and again. It sounds lovely–thanks for recommending it, Pat. I hadn’t heard of it. Checking it out. Sounds solid. Thanks for sharing this, as I haven’t heard of it before. Just ordered it from my library! Thanks for sharing. I have loved this book from the first time I read it. Your post reminded me why. I’m totally going to reserve this book for myself at the library. Thanks for the recommendation! Can’t wait to read it, thanks! Thanks for introducing me to this “feel-good” book. It’s on my library list now.